fruit salad with custard recipe - easy recipe of delicious custard made with mixed fruits and custard powder. 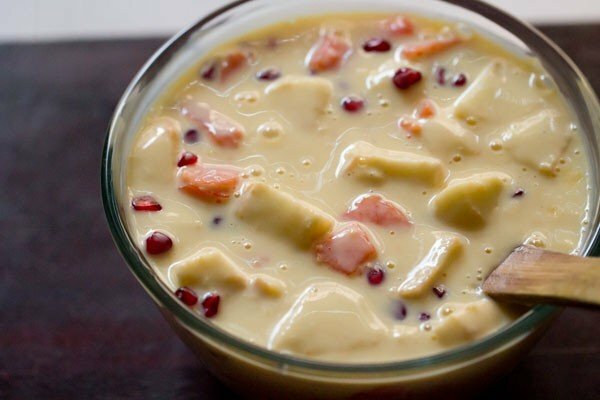 fruit custard is a popular indian dessert. fruit custard recipe with step by step photos and video – easy recipe of delicious custard made with mixed fruits and custard powder. 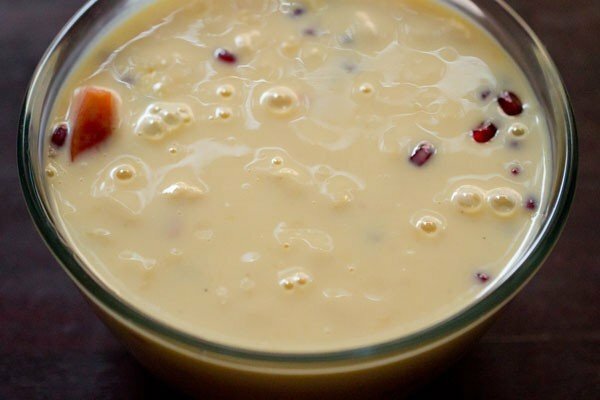 fruit custard is one of those desserts that i have grown up having along with gajar halwa, rice kheer, besan ladoo, kaju katli. fruit custard and jelly used to take a prime position in the desserts mom would make. sometimes the fruit custard was served plain and sometimes with fruit jelly. i remember mom using the brown and polson brand or crown brand for custard and the jelly would be rex brand. 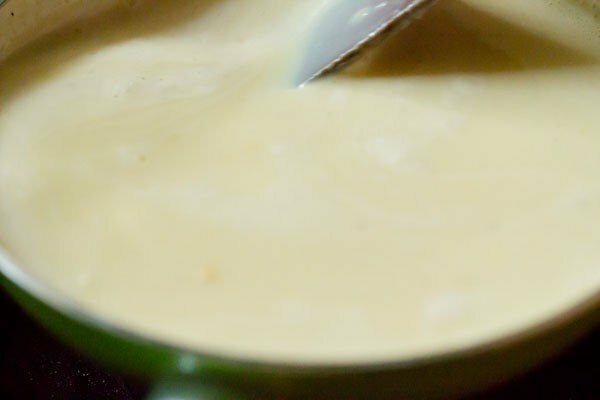 a fruit custard is basically made by mixing fruits with custard sauce. this delicious dessert is also known as fruit salad with custard. some dry fruits and nuts can also be added to this fruit custard recipe. 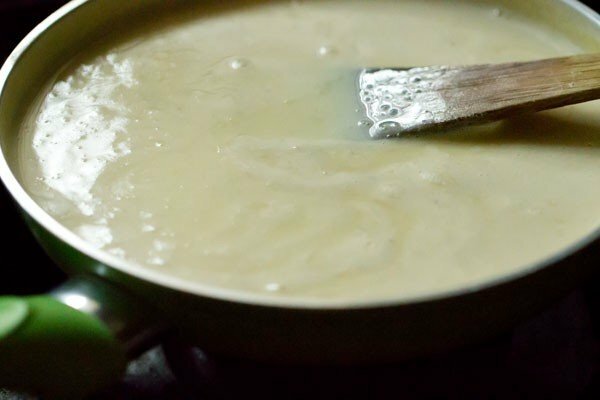 i have also shared an eggless recipe of making custard sauce. 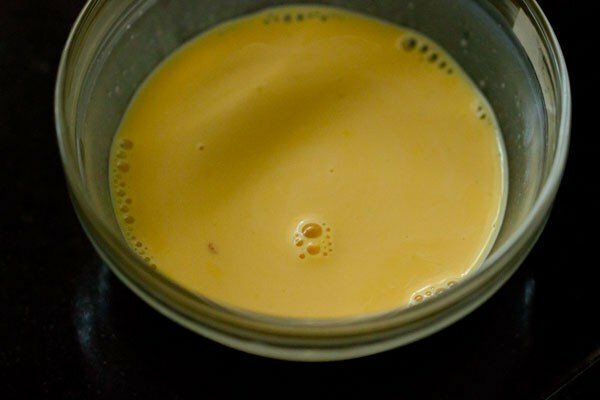 fruit custard can be made with dairy milk as well as almond milk. i make both ways. in the stepwise pics, i have shown the method of making with dairy milk. i have mentioned the method of making with almond milk in the recipe card notes below. 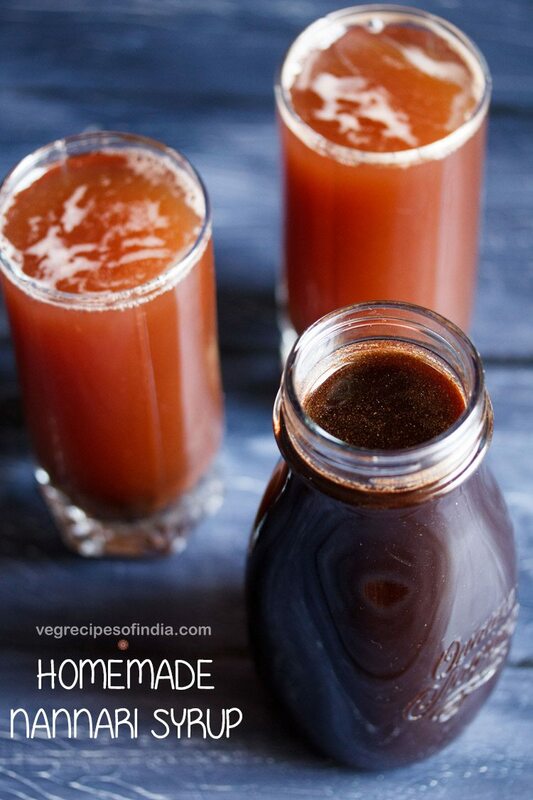 to improvise on the sugar content, you can add jaggery to almond milk. however with dairy milk, you have to be careful while adding jaggery as the milk can curdle. 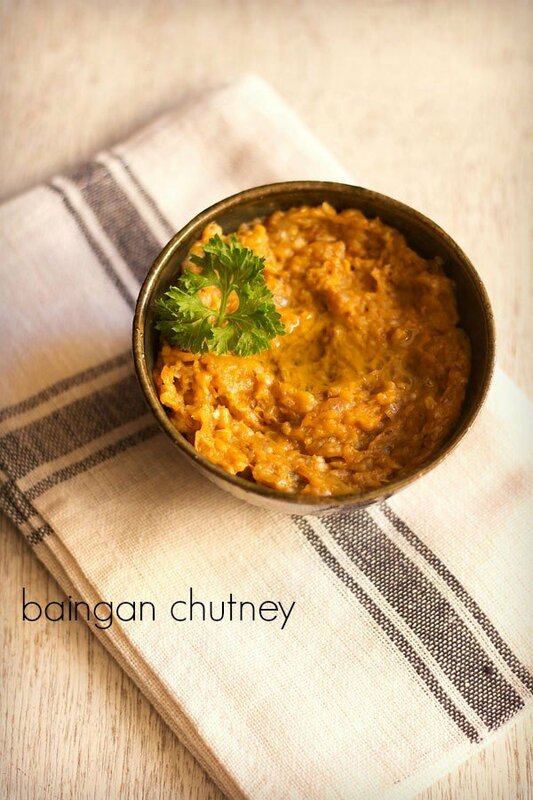 if you do plan to add jaggery, then add once the custard has become warm. 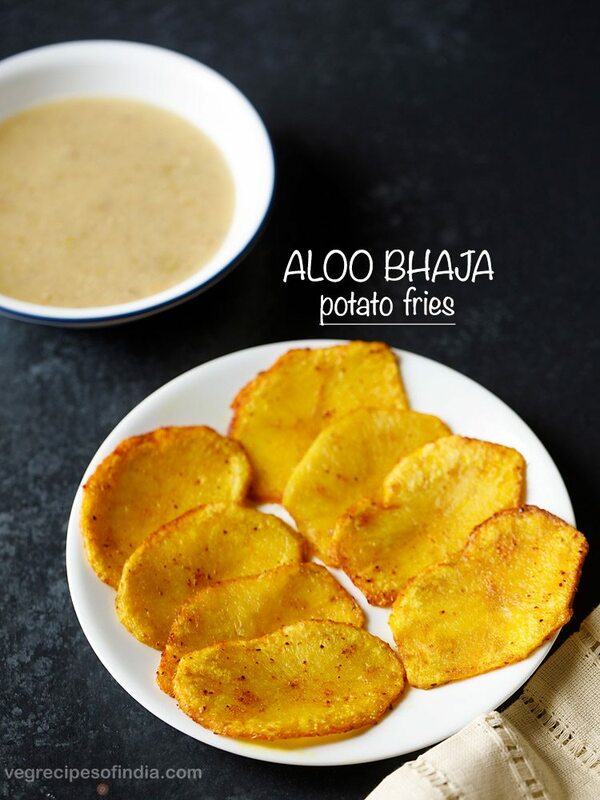 you can add seasonal fruits but avoid citrus fruits and melons. both citrus fruits and melons are an incompatible combination with milk and can make the stomach upset. 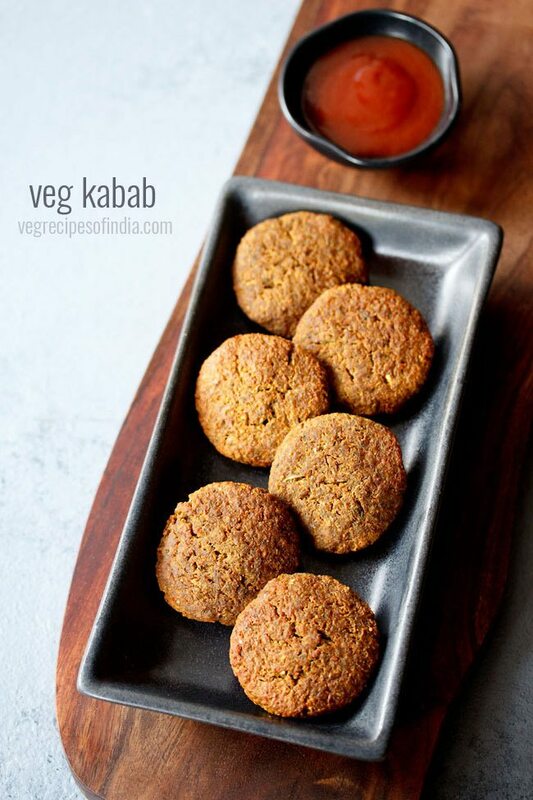 you can also add chopped dry fruits and nuts of your choice. fruit custard can be served chilled or immediately. take 2.5 cups milk in a thick bottomed pan or sauce pan and keep it on the stove top. bring the milk to a gentle heat or simmer. whilst the milk is getting heated, in a small bowl, take 3 tbsp warm milk. you can take the 3 tbsp warm milk from the milk which is getting heated up or warm 3 tbsp milk separately in a microwave oven or on the stove top. add 3 tbsp custard powder. 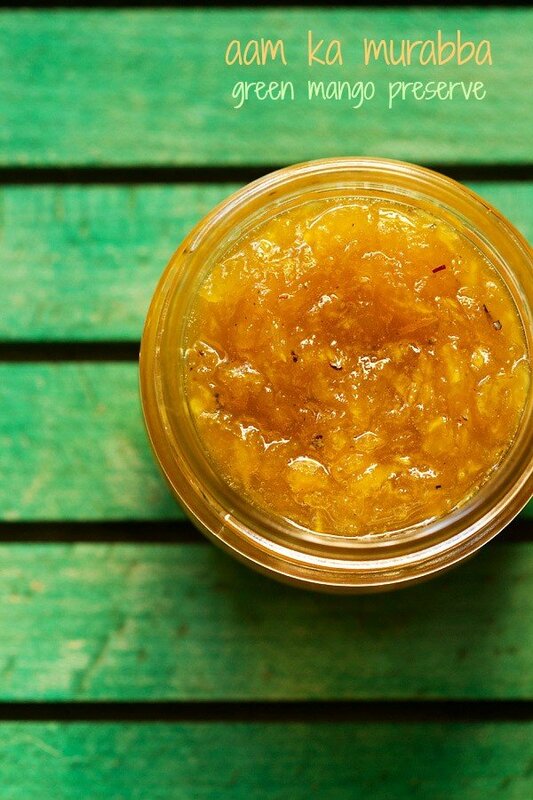 with a whisk stir very well to make a smooth paste without any lumps. 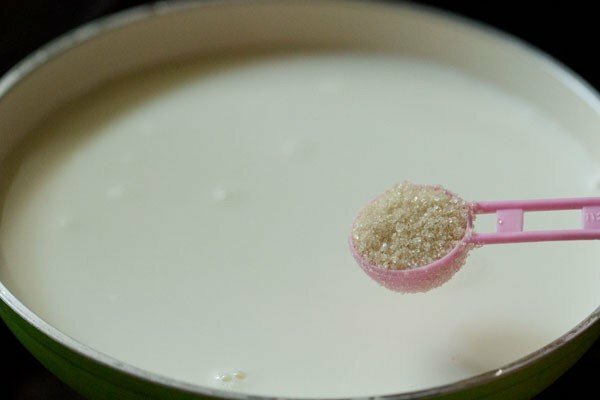 when the milk has come to a gentle heat, add 5 tbsp sugar. stir very well so that the sugar dissolves. keep the flame on a low and then add the custard paste in parts. as soon as you add the custard mixture, stir quickly so that lumps are not formed. finish of all the custard paste this way. keep on stirring often while the custard is cooking, so that lumps are not formed. cook for about 5 to 6 minutes on a low flame. the mixture will thicken slowly. for a thicker custard, cook for a few more minutes. allow the custard to cool at room temperature. also keep in mind, that as the custard cools, it will thicken more. you can also keep the custard in fridge to chill it before adding the fruits. chop the fruits. 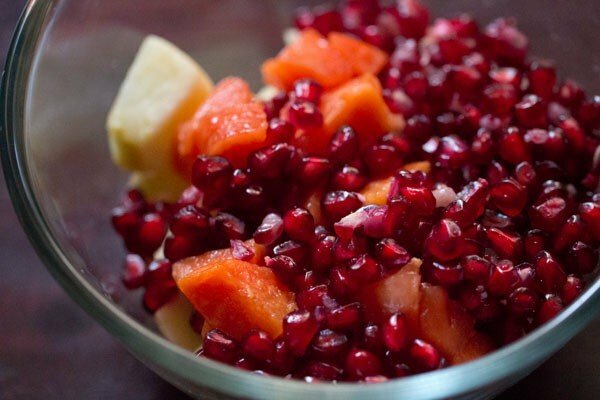 use seasonal fruits. avoid citrus fruits and melons. the fruits i used - apples, papaya, banana, strawberries and pomegranate. once the custard has cooled, add the mixed fruits. 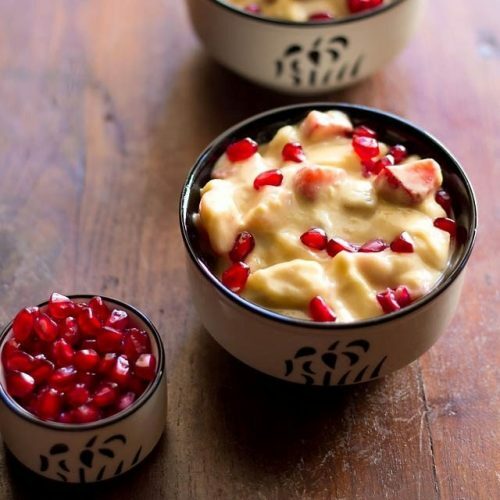 serve fruit custard garnished with some more fruits and pomegranate arils. this fruit salad with custard recipe can be doubled or tripled. 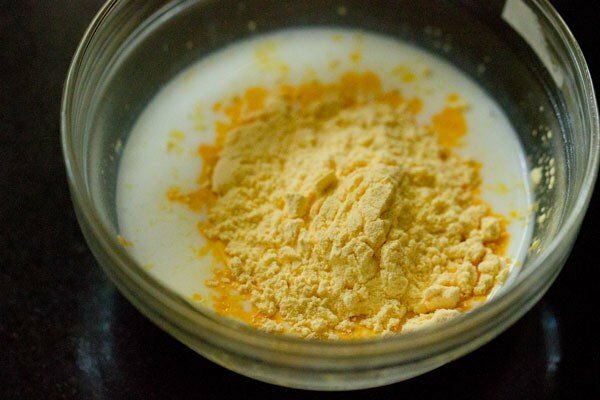 if making fruit custard for navratri fast, then use arrowroot flour for thickening, instead of corn starch. 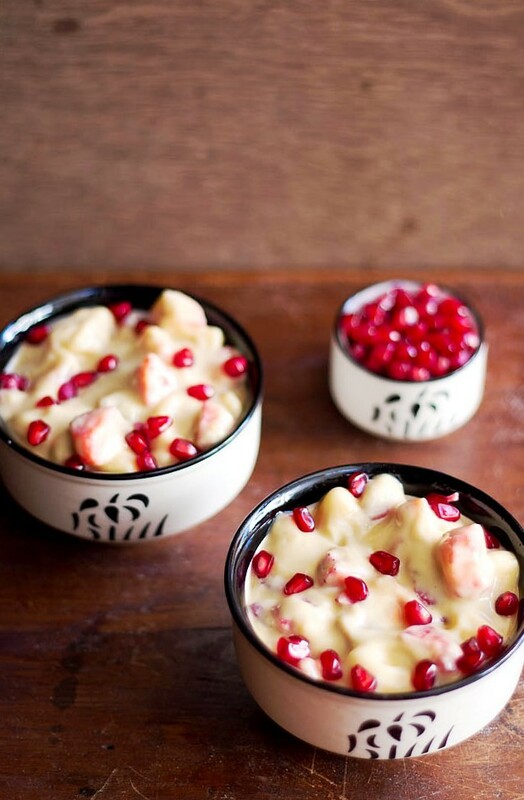 best to use seasonal fruits to make fruit custard. avoid using citrus fruits and melons. warm the 2.5 cups almond milk. just lightly warm the milk. don't over heat it. 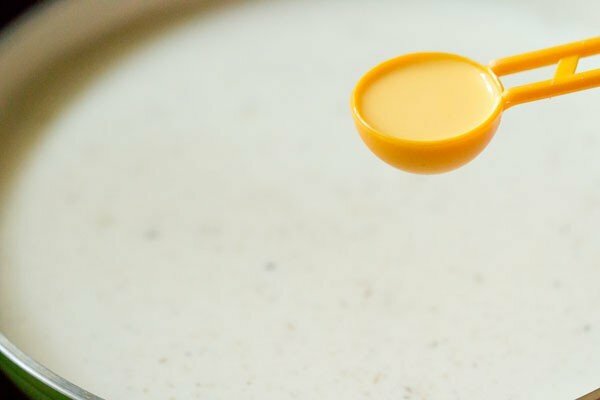 now take 3 tbsp milk from the warmed almond milk and make a smooth paste with the custard powder. make sure there are no lumps and keep aside. add sugar to the warmed almond milk. stir till the sugar dissolves. then add the custard paste to the warmed almond milk. keep on a low flame and keep on stirring till the milk begins to thicken. you have to stir continuously as to avoid forming lumps in the custard. the custard will start thickening. avoid making to a thick consistency, as on cooling the consistency thickens more. switch off the flame and allow the custard to cool or refrigerate. add fruits. mix well and serve the fruit custard. 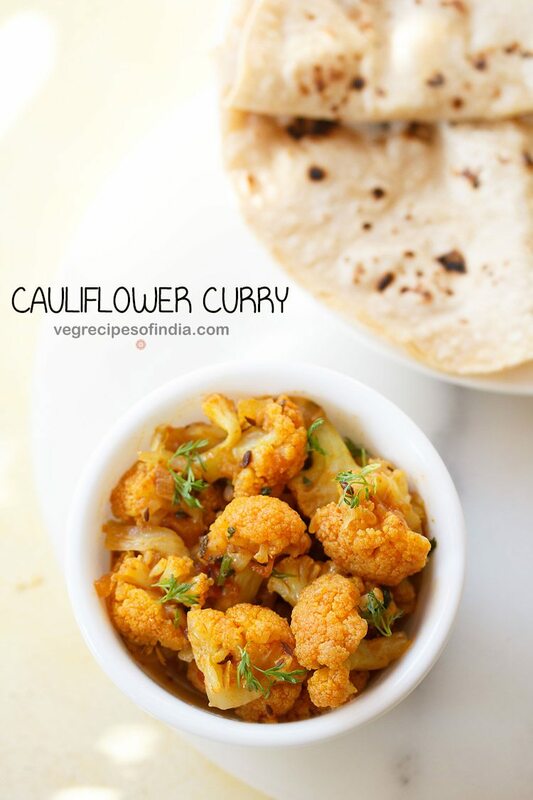 1. take 2.5 cups milk in a thick bottomed pan or sauce pan and keep it on the stove top. bring the milk to a gentle heat or simmer. 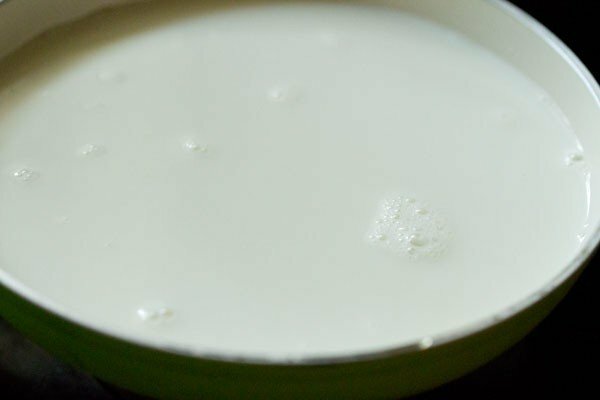 2. whilst the milk is getting heated, in a small bowl, take 3 tbsp warm milk or milk at room temperature. you can take the 3 tbsp warm milk from the milk which is getting heated up or warm 3 tbsp milk separately in a microwave oven or on the stove top. add 3 tbsp custard powder. 3. with a whisk stir very well to make a smooth paste without any lumps. 4. when the milk has come to a gentle heat, add 5 tbsp sugar or as required. stir very well so that the sugar dissolves. 5. keep the flame on a low and then add the custard paste in parts. 6. as soon as you add the custard mixture, stir quickly so that lumps are not formed. finish of all the custard paste this way. 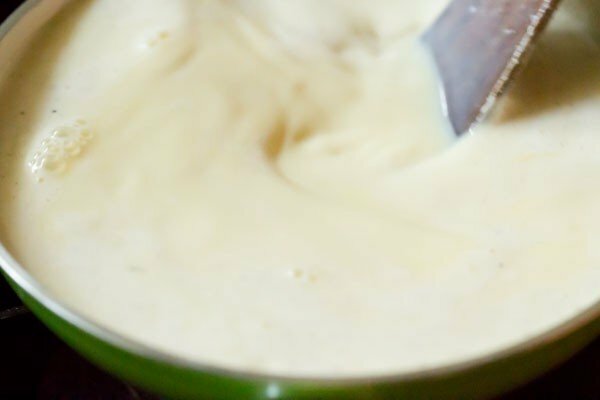 7. keep on stirring often while the custard is cooking, so that lumps are not formed. cook for about 5 to 6 minutes on a low flame. 8. the mixture will thicken slowly and the raw taste of the corn starch also goes away. for a thicker custard, cook for a few more minutes. allow the custard to cool at room temperature. also keep in mind, that as the custard cools, it will thicken more. you can also keep the custard in fridge to chill it before adding the fruits. 9. chop the fruits. i always suggest to use seasonal fruits to make fruit custard. secondary avoid citrus fruits and melons. the fruits i used are – apples, papaya, banana, strawberries and pomegranate. 10. once the custard has cooled, add the mixed fruits. 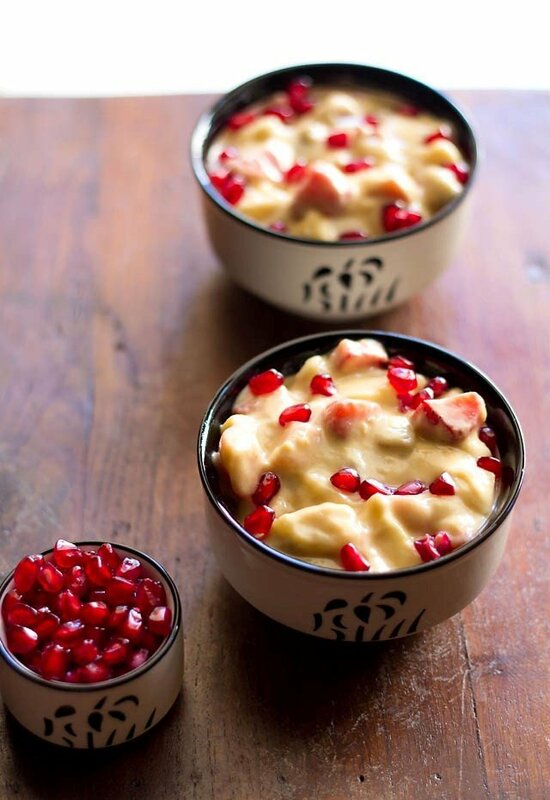 12. serve fruit custard garnished with some more fruits and pomegranate arils.